What is the Karner Volunteer Monitoring Program? 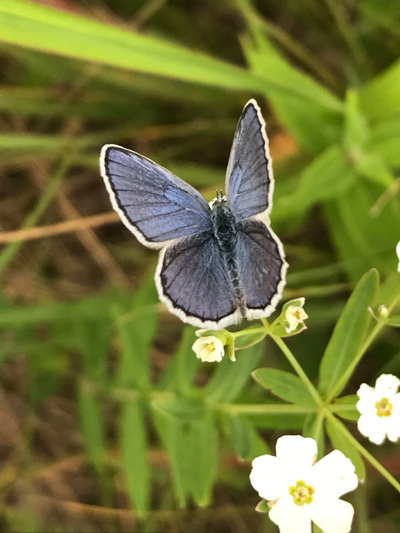 The Karner blue butterfly is a federally endangered butterfly. Wisconsin is one of the last remaining strongholds in the entire Karner range. The Karner Volunteer Monitoring Program's goals are to document Karner observations throughout the state in order to track the population status, distribution, and trends. These data add to our long term data set and also aid the DNR in habitat management decisions. Data collected by volunteers is instrumental in allowing us to meet these goals. 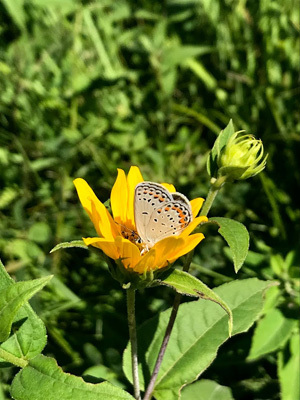 Karners, like other butterflies, are very sensitive to environmental changes making them excellent indicators of healthy ecosystems. They serve as an early warning system for the ecosystem. 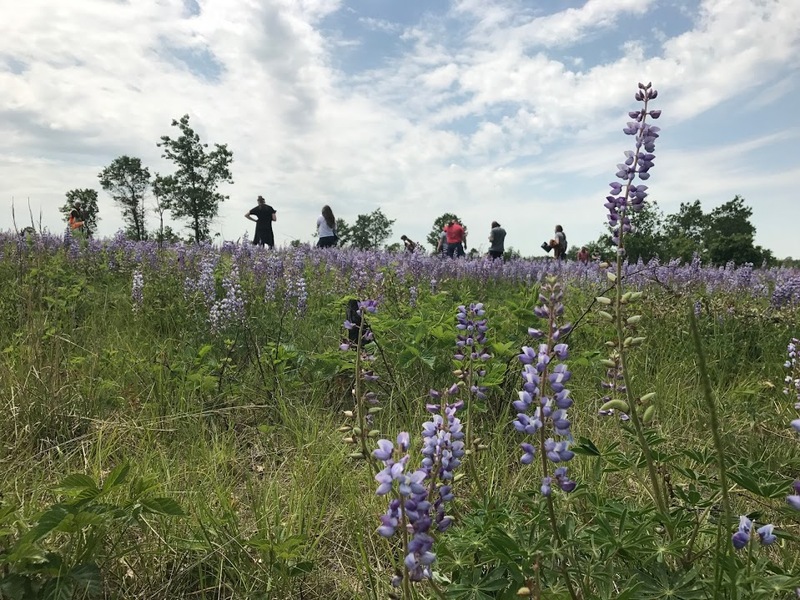 Karners' only host plant, wild lupine, grows in sandy soils, commonly found in barrens, prairies, and savannas. These types of habitat are also globally imperiled. The conservation and restoration work we do for Karners also benefits these habitats which over 50 other SGCNs (species of greatest conservation need) require for survival. Visit the DNR website to learn more. Sign up for one of our free trainings! Learn about Karner biology & identification and how to submit observations. *NOTE: this training is for volunteers ONLY. This training will NOT fulfill HCP certification requirements. Submit Karner observations through www.iNaturalist.org. Please read the survey protocol before submitting observations. Plant native lupine and other nectar forbs (be sure to plant native Lupinus perennis and NOT Lupinus polyphyllus because Karners cannot eat the latter). Track the time you spend on any Karner related project using the Volunteer Time Tracking Sheet. Submitting this information to the DNR allows us to continue applying for much needed grants to continue managing for this species. See how we help care for Wisconsin's rarest plants, wildlife, and special places. This site is produced in conjunction with the Wisconsin Aquatic and Terrestrial Resources Inventory and sponsored by the Wisconsin Department of Natural Resources. The information presented on this site is subject to the Wisconsin Department of Natural Resources' Legal Notices.